Fei Han, a policy analyst and data scientist at The Hilltop Institute, is responsible for developing predictive analytics using Medicare, Medicaid, MDS, and other data sources, as well as conducting statistical and machine learning research related to health care. 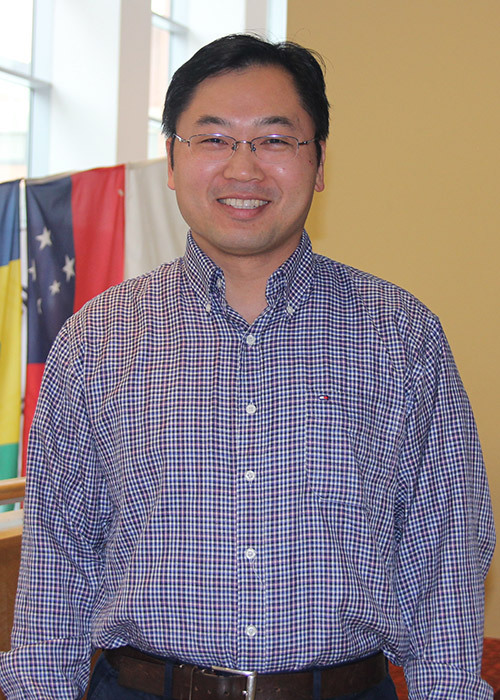 Fei’s specialty is application and research in statistical learning methods and machine learning methods. He also serves as an adjunct professor teaching statistics in the Department of Mathematics and Statistics at UMBC. Prior to joining Hilltop, Fei was a statistician for the U.S. Department of Agriculture (USDA), where he developed and modified statistically based national sampling plans for dietary supplement analytical studies. He also developed and implemented a statistical method for quality control of analytical data, designed and administered in-house databases, and used SAS to analyze large data sets. Before that, Fei was a research assistant at Louisiana Tech University. He also has teaching experience as an assistant professor at Huaqiao University (China). Undergraduate courses he taught include probability and mathematical statistics, mathematical modeling, calculus, algebra, operations research, and discrete mathematics. Fei earned his PhD in computational analysis and modeling, as well as his MS in mathematics and statistics from Louisiana Tech University. He earned an MS in pure mathematics from Huaqiao University (China) and a BS in mathematics and applied mathematics from China University of Geosciences (China).